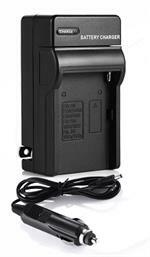 DLSR1: 3.6 volt 1220mAh rechargeable Li-ION battery for SONY digital cameras. Replaces NP-FR1. Fits many CyberShot models (see xref below). DLSBK1: 3.7 volt 720mAh Li-ION battery for SONY digital cameras. Replaces NP-BK1. See x-ref list for compatibility. 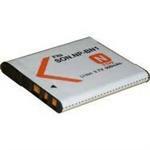 NP-BN1 : 3.6 volt 900mAh Li-ION battery for SONY digital cameras. See x-ref list for compatible models. 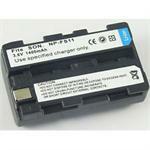 NP-FT1: 3.6 volt 1300mAh Li-ION Battery for SONY Cyber-shot digital cameras. DSC-T1 (Cybershot), DSC-L1, DSC-M1, DSC-T11, DSC-T3, DSC-T33, DSC-T3S, etc. 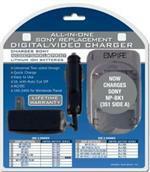 NP-F550: 7.4v 2900mAh Li-ION battery for MANY Sony cameras & Camcorders. Replaces NP-F570, NP-F550, NP-F530, NP-F330, NP-F770, NP-F960, NP-F970, NP-F975, etc. 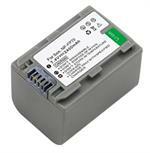 NP-FW50: 7.4 volt 2050mAh Li-ION battery for SONY digital cameras. Replaces original part # NP-FW50.